With about 5% of global reef area, and 250 species of coral teeming with over 1,000 species of fish, the Maldives is rich in biodiversity. Baa Atoll, which is a UNESCO Biosphere Reserve, offers a sample of the unique species of marine, fauna, and flora of the Maldives. 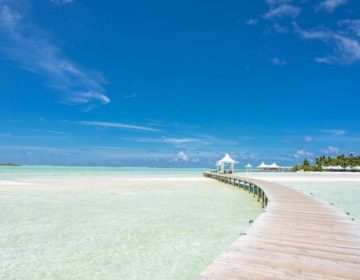 Baa Atoll is one of twenty administrative regions of the Maldives and consists of three separate natural atolls, the largest of which is 42 kilometers long and 32 kilometers wide. Situated in the central area of the country, the atoll forms part of the double chain of atolls at the archipelago’s central region. It consists of 76 islands of which 13 are local island towns, and 15 are tourist resorts. The rest of the islands are uninhabited. The atoll has a resident population of approximately 9,000. The island of Eydhafushi is the atoll capital with a population of roughly 2,500. In addition to Eydhafushi, Thulhaadhoo and Dharavandhoo are the only islands with a resident population over 1,000. Baa Atoll is considered globally significant in terms of its biodiversity. 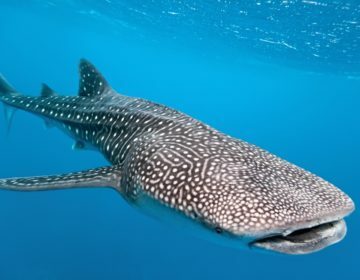 Covering approximately 139,700 hectares, the atoll is representative of the Maldives’ high diversity of marine species. The atoll is situated just north of the Kaashidhoo channel, which geographically separates the northern chain of atolls from the central chain. According to UNESCO’s profile on Baa Atoll Biosphere, the atoll supports one of the largest groups of coral reefs in the Indian Ocean and acts as a stepping stone for the transport of planktonic larvae and reef organisms from the western and eastern Indian Ocean. The atoll consists of several habitats that support the rich biodiversity of the atoll. This includes coral reefs, islands, seagrass beds, and mangroves. 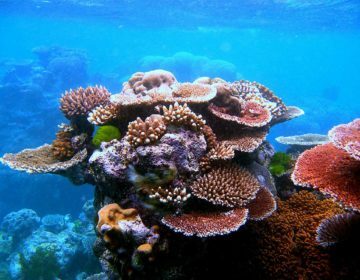 Coral reefs are the most critical habitat in terms of area, as well as biodiversity. 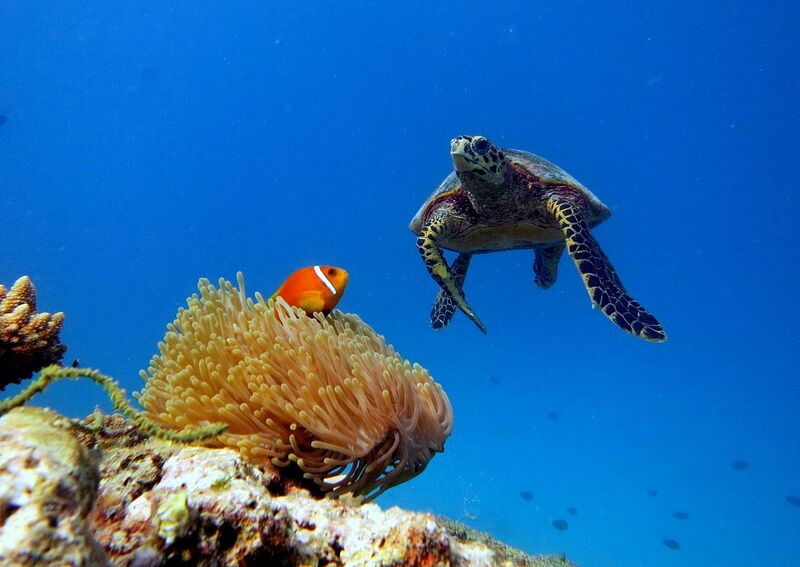 The coral reefs are home to a high diversity of reef animals, including approximately 250 species of stony and soft corals and 1,200 reef and reef-associated fish species, a population of marine turtles, manta rays, whale sharks, and seabirds. These also include threatened and endangered species such as the green turtle, hawksbill turtle, Napoleon wrasse, and tawny nurse shark. The reserve consists of nine Core Areas that are highly protected and managed in which commercial, artisanal and subsistence extraction of all biological and non-biological resources are prohibited. Core Areas are clearly defined management areas that have a high ecological significance in terms of marine and terrestrial biodiversity and have a high natural value to Baa Atoll, the nation and the communities using the atoll resources. Core Areas are allocated the highest levels of conservation. Only limited activities are permitted within the boundaries of these Core Areas. These activities require stringent management systems, codes of conduct and due diligence from all users. Anchoring any boat, unless in emergencies, is prohibited in the Core Areas. The boundary for all Core Areas extends 200 meters from the reef edge and includes all marine and terrestrial, biological and non-biological resources enclosed within the boundary. Around the Core Areas are Buffer Zones which are also managed and monitored. Here non-damaging, non-extractive uses are allowed. 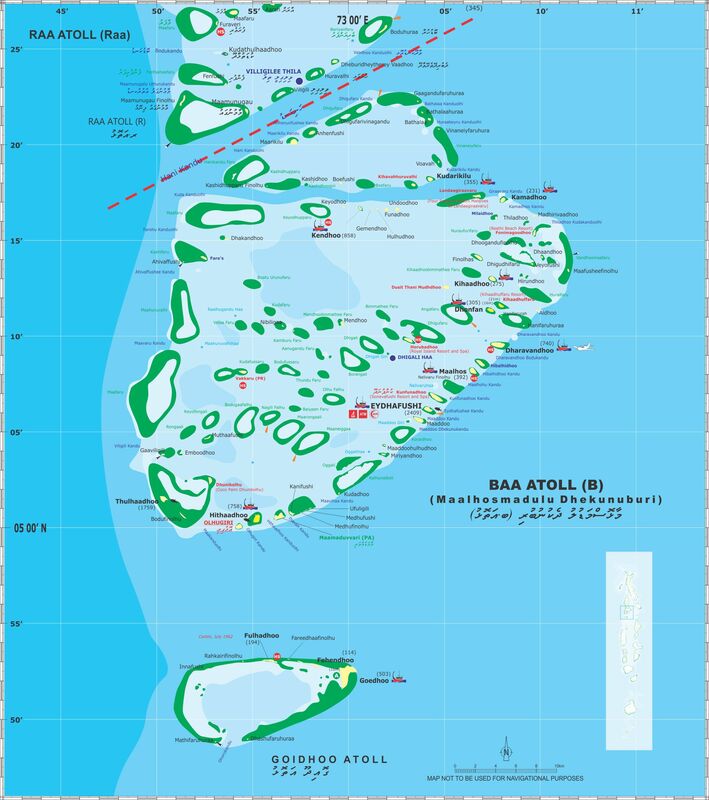 Additionally, the Core Areas and Buffer Zones are enveloped by Transitional Areas, which cover the whole of Baa Atoll. Sustainable activities are permitted in the Transitional Areas. Hanifaru Bay is the jewel in the crown when it comes to Baa Atoll’s biodiversity, attracting large numbers of visitors every year. 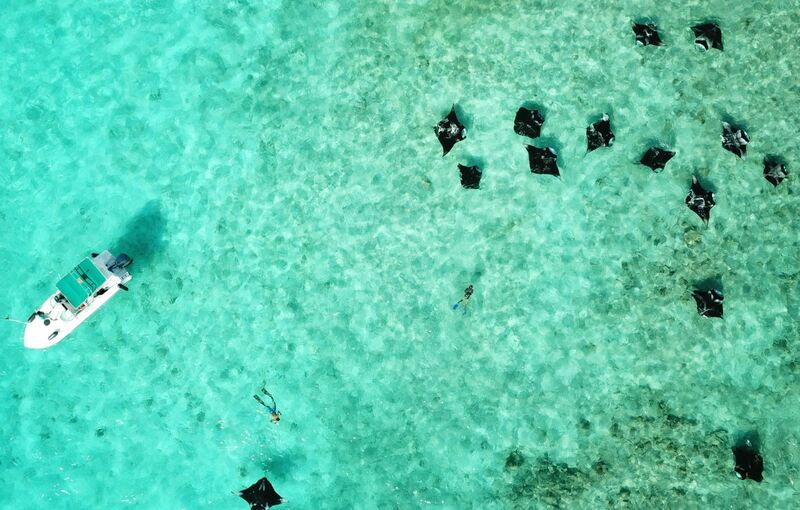 The tiny bay located in the eastern flank of the atoll has seen some of the largest gatherings of manta rays anywhere in the world. Up to a hundred of these giants are seen in a single congregation, gliding through the waters to feed as the tide pushes abundant plankton into the bay. Baa Atoll is within the prime tourism zone of the Maldives and hence, there is a variety of accommodation to choose from in the atoll. 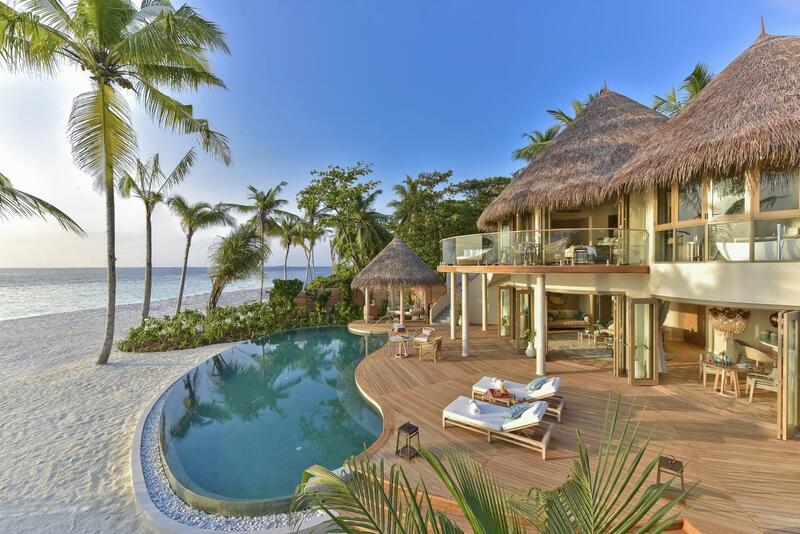 There are 15 resorts in the atoll, ranging from the super-luxurious to those that offer somewhat affordable options. In addition to the resorts, there are 30 registered guesthouses on the inhabited islands of the atoll. Dharavandhoo houses 12 of these guesthouses and the rest of spread across the other islands of the atoll. 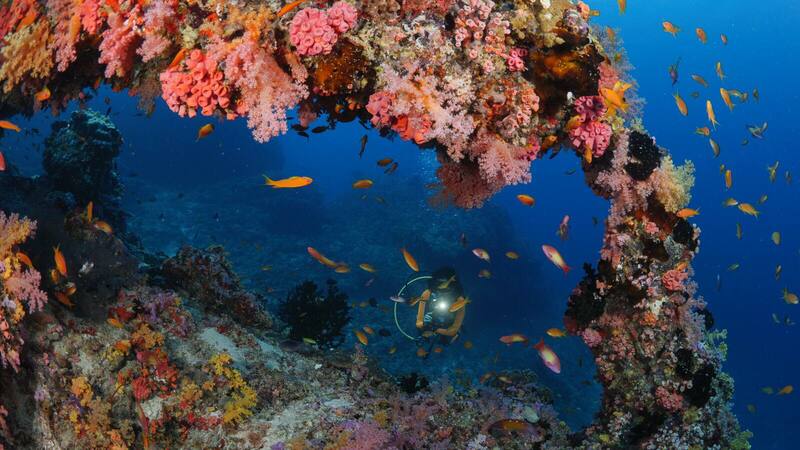 Without exception, all resorts have excellent dive centers with multilingual dive instructors. 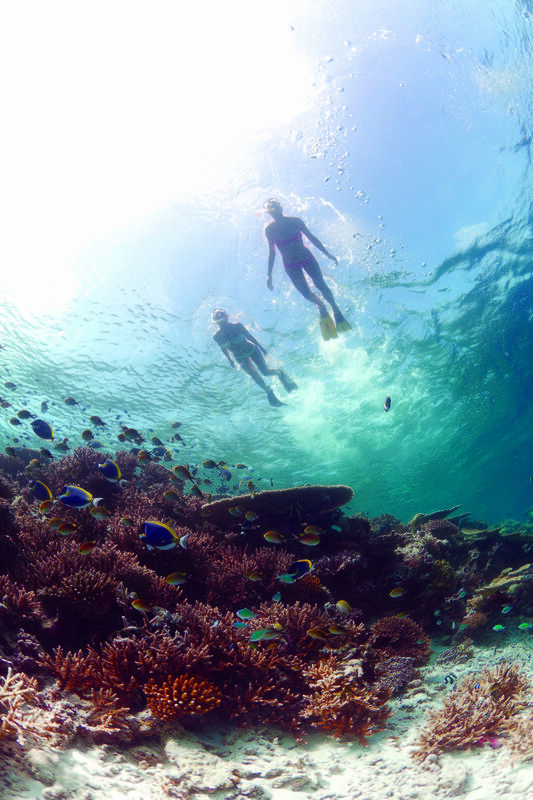 Guesthouses also offer dive and snorkel trips to Hanifaru Bay and other marine attractions in the atoll.